This challenge is one I've been thorough before. 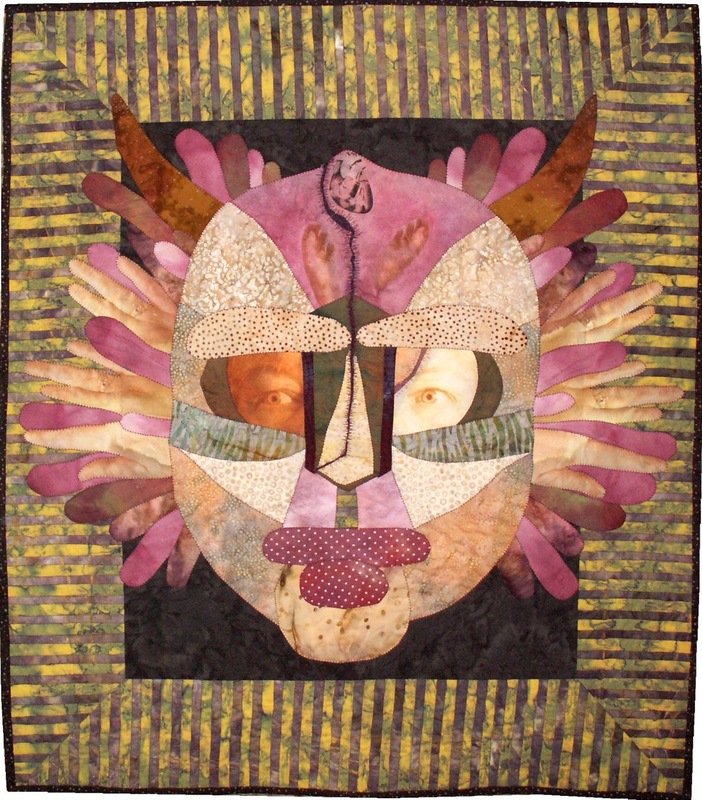 During a big life crisis several years ago, I felt increasingly trapped and frantic, and worked out some emotions in a series of mask pieces. The piece I'm posting here, Look Behind the Mask, is about needing to put on a calm face even though there is turmoil inside. 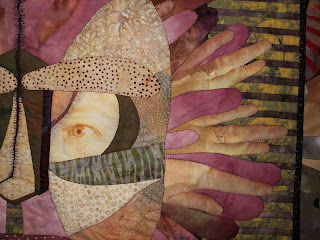 I was first learning about printing on fabric, those are my eyes looking out and my hands too. I cut the mask in half and sewed it back together with big stitches to emphasize the decisions I was being forced to make. It's been show once, but is really too personal (read *embarrassing*) to put out there any further. 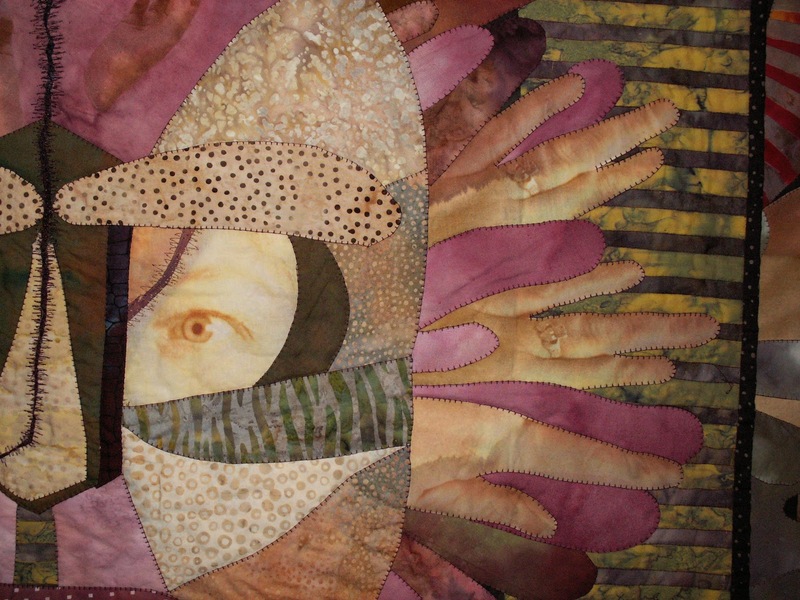 Happily, the problems worked themselves out in a constructive way- at this time, I really threw myself into quilting full time and have had a wonderful career as a result. Thanks for sharing such a personal atatement with us Betty. And yes, your success has come from hard work, dedication and enormous talent.